Pleasant Pointe Assisted Living boasts 49-units offering the care, independence and community you are seeking. Pleasant Pointe Assisted Living has been responding to the needs of our community for more than 50 years. At Pleasant Pointe Assisted Living you will find a staff truly dedicated to serving people. We wish to enhance each residents mental, physical, and social well being while providing the safety and security on our community. 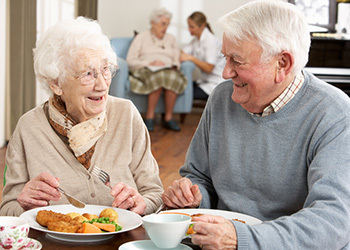 Pleasant Pointe Assisted Living provides the opportunity for residents to experience friendships and activities, remove the burden of daily time-consuming chores, and provide peace of mind with the availability of a skilled care facility on-site. When you enter Pleasant Pointe Assisted Living, you will notice a genuine spirit of respect and community. We represent the 3rd generation of our family to carry out our mission of providing the highest, individualized, quality care for our clients in a family atmosphere. Come and schedule a tour today and see why we were voted Best Assisted Living Community by the Suburbanite Paper.